According to the Appraisal Institute of Canada, you can expect to receive a 75 to 100 per cent return on your investment on a renovation. Even better is the fact that a little research can guide you as to how to get the most bang for your buck to make the project as affordable as possible. 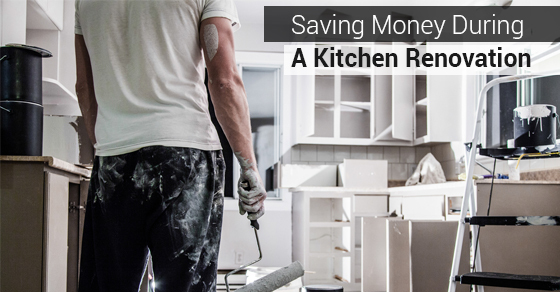 Here is how to spend your money wisely during a kitchen renovation. You can save at least a couple of thousand dollars by doing the demolition by yourself. Just ensure that water, gas and electrical elements are turned off before you begin your project. Another tip is to rent a garbage disposal bin – this will save you a lot of time when it comes to cleaning. One of the most expensive parts of a kitchen renovation will be your choice of cabinetry. You can save a significant amount of money (at least half of the cost!) by choosing ready-to-assemble cabinets over those that are custom made. With a little extra effort, however, you can easily make yours look like they’re custom. An even better solution is to simply forgo new kitchen cabinets all together. If your cabinets are still in good condition, resurfacing and painting them will give them an updated look in a very affordable way. When it comes to tile, you can save money through a couple of different methods. First, choose affordable tiles. Alternatively, if you opt for a more expensive tile, you could choose to use them in a more sparing way, such as a feature area of your kitchen instead of using the tile for your entire backsplash. Second, consider going with a more affordable herring-bone design as opposed to a traditional brick pattern. Naturally, new appliances come with big price tags. Keep in mind that you do not necessarily need the latest fridge with the most modern features. These will set you back a lot of money. Buying last year’s model will save you a lot of money in the end. You can also save money on your appliances by visiting an annual kitchen-sale event. Planning is key. Granite countertops are ever popular these days, but they come with a significant price tag. To save money during your renovation, it can be a wise decision to avoid them. Keep in mind that there are a number of other very attractive options, from butcher block, which is ideal for those who prefer a rustic looking kitchen, to poured concrete, which perfectly suits an industrial looking kitchen. If you are unwilling to compromise on granite, however, you can save some money by finding a company that offers pre-cut pieces. If you are in need of a plumber during your renovation, contact our team of plumbing experts at Brothers Plumbing today. We have over 50 years in the business and a superior track record in the industry. We offer competitive rates, upfront quotes and 7-7-7 service.